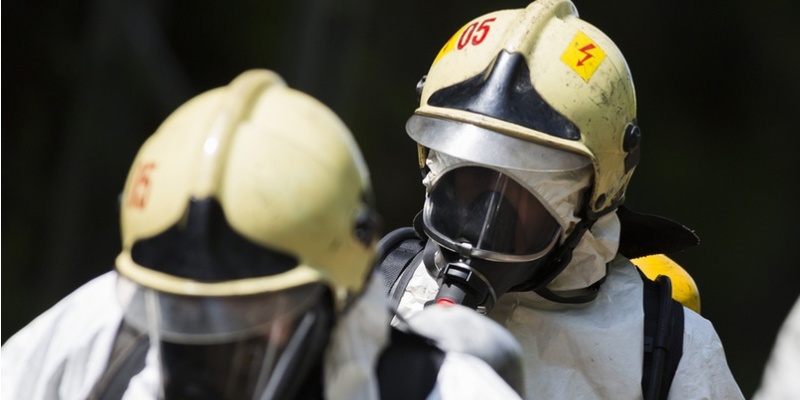 Modern chemical warfare agent (CWA) training for unconventional threats requires a variety of scenarios that can relate to different incident types; both indoor and outdoor, meaning CBRNe operatives need to be prepared for any situation. This poses a challenge for instructors delivering training; the need for it be more realistic and more flexible is paramount. Simulation training offers a real, workable solution that allows students to experience the characteristics of live agent training in real-world scenarios, in a completely controlled setting. Sources can be easily hidden in any location, and emission levels can be varied to adapt the exercises. The opportunities for training scenarios are endless. In this post we highlight ten examples you could use in your CWA training usin CBRN detector simulators and electronic simulation sources. Hide the simulation source in a luggage case, rucksack, or any item that could be used to smuggle something. Set the source to provide a reading only when the student gets very close to the item. The package could be placed in a room, within a vehicle, on a train or other mode of public transport, or amongst other packages. Place the simulation source in a vehicle, either in the luggage storage compartment, or within a package hidden underneath a seat. If placed in the luggage compartment, the difficulty of detection can be adapted by changing the level of the simulation source. If placed under the seat, the scenario can be made more realistic by having a window slightly open and the simulation source set so a reading is obtained only at the gap in the window. Place the simulation source under the wheel arch of a vehicle, and set the instructor controller to partial decontamination so a low reading (representing residual CW agent) can be obtained. The student searches for contamination while you observe the process. Place the source within a person’s clothing and observe as the student searches for contamination and starts the process of decontamination. As with the contaminated vehicle scenario, set the instructor controller so a low reading (residual CW agent) can be obtained. Place the simulation source so open ground can be checked for emissions. The instructor can simulate non-persistent agent by reducing the reading after a set period. Set a simulation source to represent a false positive and place it in a location that would most likely cause a false positive on a real detector. For example, where cleaning chemicals may be stored in a building. Hide the simulation source within weapon housing. Task the student with obtaining a reading as they approach. The weapon can be “wrapped” to make it more difficult to detect. To train for IED threats, the source should be placed in a required location and the instructor controller set to full response for rapid release, or partial response for slower release. Set the simulation source so that a reading is obtained only when the door to the room is checked at the edges. When the door is breached the reading will rise without students having to enter the room. Install the simulation source within the building so emission is just detectable through an open window when the detector sensor is placed through that window. This is a great way to train students on assessing a building prior to entry. Use a standard locker room with multiple locker cupboards, like you would find in a gym. Place a simulation source within one of the lockers so a reading can only be obtained when the student is very close. Observe their technique and feed back to them. You can also video record the search and play it back to your students, using it as an exercise to create discussion about search technique. Training scenarios need to realistically replicate the ability to detect and monitor hazards, and simulation training provides a more feasible alternative to conventional methods. Using electronic means to simulate chemical vapours can make life a lot easier for instructors to set up useful and effective training exercises. And once you develop a directory of scenario ideas, they can be set up very quickly. For more detail on simulation chemical warfare agent training as well as a more complete list of potential training scenarios, download our eBook on CWA training using simulators, below.